By a happy coincidence, our new exhibition, Germans in Britain, opens at the German Historical Institute on Thursday 18 September, the day on which George 1 arrived in England from Germany three hundred years ago. George hadn’t been the obvious successor to Queen Anne, when she died in August 1714: there had been more than 50 others with a stronger hereditary claim, but all of them were Catholic, and the Act of Settlement in 1701 had established that no Catholic monarch would ever take the throne again. George was the first Protestant in line to the British throne. Like most migrants before and after him, George had something of a mixed reception. 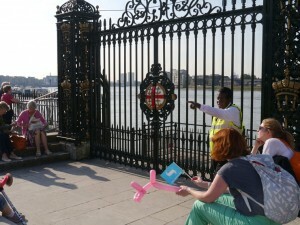 More than a million people are said to have turned out to welcome the new King as he made his way from Greenwich to Westminster. But not everyone joined in this celebration. At the time of his coronation there was rioting in more than 20 towns around the country, and he continued to divide opinion in the 13 years of his reign, with many people making fun of him for his inability to speak English. 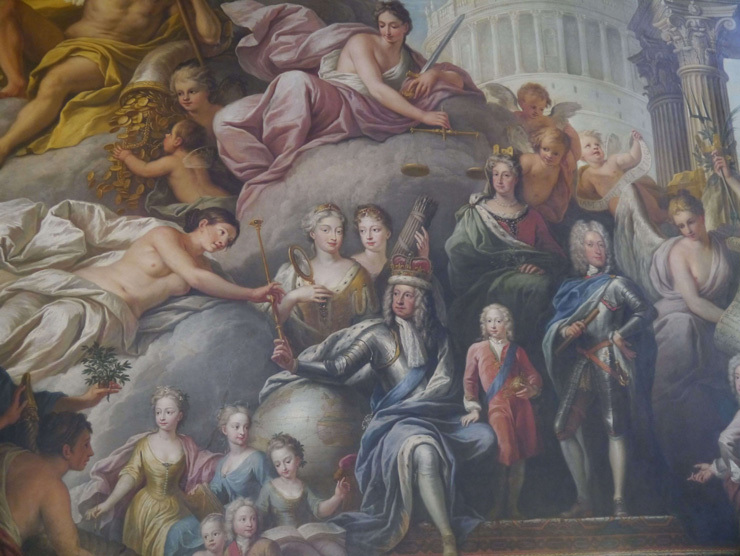 That said, he steadied the throne, established a dynasty (the Hanoverian dynasty) that continued to the reign of Queen Victoria, and his reign triggered a period of prosperity and rapid change, overseeing the beginning of the industrial revolution and the emergence of Great Britain as a global power. 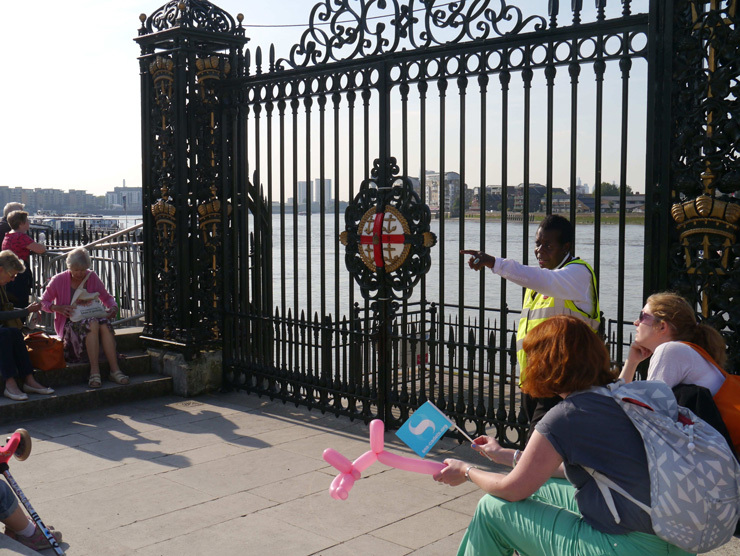 The Royal Steps, which George 1 walked up after disembarking from the Peregrine at Greenwich, lead up to the gates of the Royal Naval College in Greenwich and are, effectively, where Greenwich Park runs into the river. At the top of the park a plaque on the western wall, just behind the Ranger’s House, commemorates a different kind of migrant, though one living in the same century. 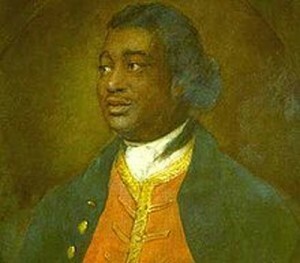 Ignatius Sancho – born, not on the Peregrine, but on a slave ship – is widely considered to be the first Black Briton to vote in an election as well as the first to be given an obituary in the British press. 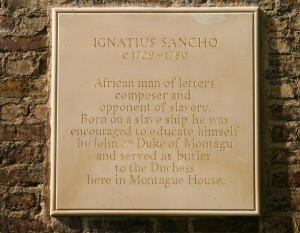 He was highly valued and trusted by the Montagu family, for whom he worked for much of his life and who were influential in his education (the first Duke of Montagu lent Sancho books from his personal library, to the horror of the three sisters for whom Sancho was then working in Greenwich). From his reading, Sancho developed a lifelong passion for poetry, literature and music, and became a writer himself, publishing two plays and a book called A Theory of Music. Although exposed to a fairly predictable daily litany of racist abuse, he was cheerful and popular, and had a wide circle of friends and acquaintances from the arts and politics. His correspondence with the novelist Laurence Sterne (with whom he formed a long friendship) became a cornerstone of eighteenth-century abolitionist literature and led to the publication of his letters after his death. 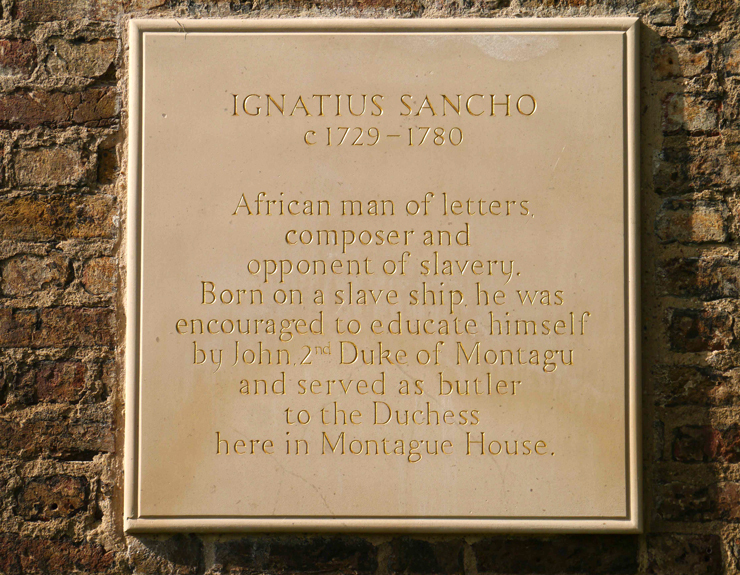 Thursday 18 September may be the anniversary of the arrival on our shores of one of these migrants only, but it seems fitting that the same stretch of land should bear witness to the two different but similar stories of George 1 (Elector of Hanover and King of Great Britain and Ireland) and Ignatius Sancho. Germans in Britain is on display in the German Historical Institute from 18 September to 24 October and thereafter on tour at various venues. See the website for details.